On your marks, get set, GO! Crabtree & Evelyn are offering everyone the chance to swap their old nail polish for a NEW one completely FREE! Take any brand of nail polish (except a Crabtree & Evelyn one) into the nearest C&E store from 13th August to 29th September (while stocks last) to exchange your old nail polish for a brand new nail lacquer from Crabtree & Evelyn worth £6.00! All bottles will be recycled where possible*. 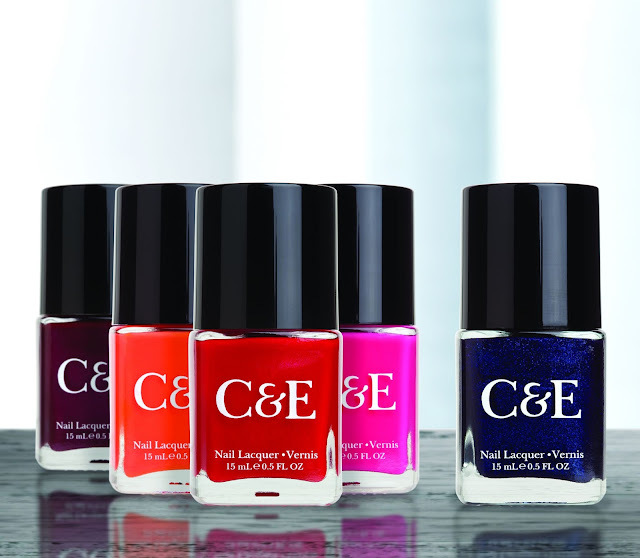 Crabtree & Evelyn’s Nail Lacquer collection contains 21 gorgeous colours, from nuetrals to lights to darks to brights. They apply beautifully, dry fast and are formulated without the toxic chemicals commonly found in nail polish, leaving you with a rich, eye-catching colour that lasts. Each Nail Lacquer is 15ml. Price: £6.00. Pomegranate - Deliciously sophisticated deep red. Clementine - Beautiful creamy orange with subtle shimmer. Apple - Brilliant red with a hint of shimmer. Blueberry - Deep blue accented with the shimmer of sapphire. I absolutely love Pomegranate, it is the kind of shade I tend to wear all year round. *Terms & Conditions: Valid in Crabtree & Evelyn branded stores only. Bring in any other brand nail polish/nail lacquer, new or used, and receive in exchange a free Crabtree & Evelyn Nail Lacquer. For a limited time only & while stocks last. Other restrictions apply; ask a sales assistant for details. what a brilliant idea that is to recycle!